Here are some Straight Talk Frequently Asked Questions? Where can I get the Best Deal on a Straight Talk Phone? Black Friday Special held over through December 17, 2010. You can get a Free Straight Talk Phone (up to a $60 value) with the purchase of a Straight Talk Phone card, either the $30 or the $45 card. You can only purchase two at a time however the other night I bought 3 batches of two in about ten minutes. You get a free phone just for buying a month of service. Great deal. You can use the spare phone as a gift or use the battery and charger as a spare. Have you ever lost your charger? Straight Talk is a new Prepaid Cell phone company that is a partnership between Walmart, Verizon and Tracfone. How much is a Straight Talk Phone Service? You can get Unlimited Straight Talk service for $45 per month. This includes unlimited calls, unlimited text messages and unlimited data usage on your phone. Or for $30 a month you can get 1,000 minutes and 1,000 text messages and 30 Meg of data to your phone. 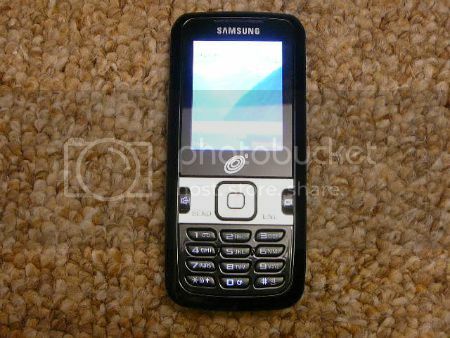 Samsung R451c Straight Talk Qwerty Slider Phone. How does Straight Talk Wireless Prepaid Work? You purchase a phone and phone card, then you add the phone card to activate your phone. Before your card expires or before you run out of minutes on your $30 plan you need to add another card to keep your service active. You can stack your cards--add more than one at a time-- and they will not run concurrently. How much is a Straight Talk Phone? The phones start at $30 and go up to over $300. 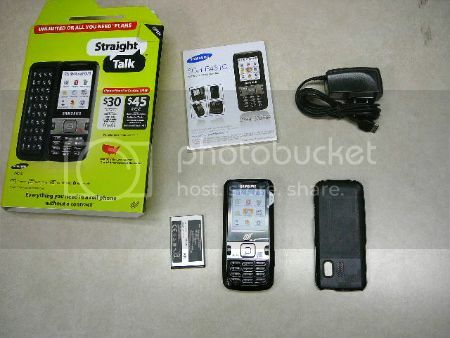 Straight Talk Samsung R451C $99.99 Plus a Phone card for $30 or Unlimited for $44.95. What if I let my Straight Talk service expire? Your phone will quit working and you will probably lose your phone number. Can I change from the $30 a month Straight Talk plan to the $45 Unlimited? Yes the next time you need to add a phone card you can change from either of the two plans. Straight Talk Frequently Asked Questions. What is the cheapest monthly cost of using a Straight Talk phone? You will have to spend at least $30 a month. Can I put Tracfone minutes on my Straight Talk phone? No Straight talk phones will only work with Straight Talk phone cards. Why does it say Tracfone when I turn on my Straight Talk phone? Since Tracfone is a partner in the Straight Talk Partnership they are using the Tracfone software (firmware) to manage the prepaid phone system. Do my Straight Talk Minutes roll over? No your minutes will not roll over but 1000 minutes for $30 is only 3.3 cents a minute. There is absolutely no Rollover with Straight Talk. If you have 10 days left of Unlimited Straight Talk and you add a 30 day Unlimited card you will end up with only 30 days of Unlimited usage. You will Not get 10 days plus the 30 days. Where can I buy Straight Talk Cards? You can either purchase them online or at any Walmart. Where will my straight talk phone work? The phones work on the Verizon network, this is the largest network of cell phone towers in the US. Straight Talk Frequently Asked Questions. Where can I purchase a Straight Talk phone? You can either purchase them from Straight Talk.com or at a local Walmart. Can I use my Tracfone phone for Straight Talk? No only Straight Talk phones will accept Straight Talk phone cards. Can I use my Verizon phone for Straight Talk? Can I use my T-Mobile phone for Straight Talk? Can I use my Net10 phone for Straight Talk? No only Straight Talk phones will accept Straight Talk phone cards. Straight Talk Frequently Asked Questions. Can get a Straight Talk phone with a music player? Yes the Samsung R810c, the Samsung R451c and the Motorola Razr V3 all have music players with Bluetooth and headphone plugins. 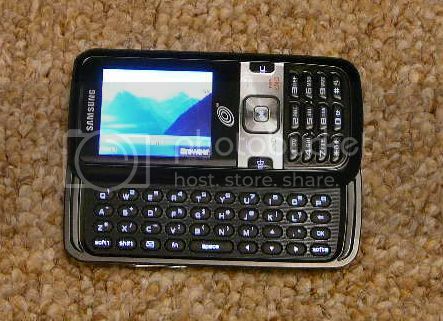 Can I get a Qwerty Slider Phone with Straight Talk? 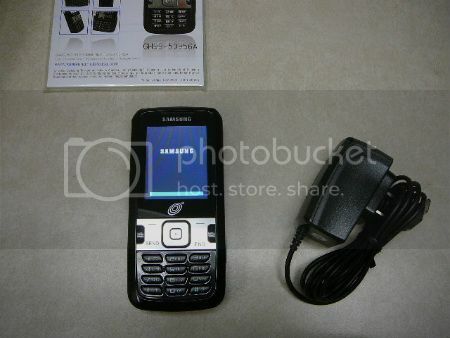 Yes the Samsung R451c has a qwerty keyboard that slides out. Can I get a Smartphone for Straight Talk? Yes the Samsung R810c has a touch screen, Mp3 player, removable mini SD memory card. With the Unlimited plan you also get Unlimited data for this nice little smartphone for only $45 a month. Can I access the internet with Straight Talk? Yes any of the phones that have that capability. Only the LG100c and the LG200c (the least expensive Straight Talk phones do not have Mobile web service capability. What is the Most Basic phone for Straight Talk? How much are Texts with Straight Talk? Both the Unlimited package and the "All You Need" package include texting. With "All You Need" you get 1,000 texts per month with the Unlimited plan you get unlimited texting. How much is Unlimited Texting with Straight Talk ? Unlimited Texting with Straight Talk is included in the Unlimited Minutes, Text, Data plan which is $45 a month. Straight Talk Frequently Asked Questions. Where can I use my Straight Talk phone will I have to pay for roaming? The Straight Talk phones all use the Verizon network. Verizon has the largest Cell Tower network in the United States. There is no charge for roaming outside of your zip code. Can I use my Straight Talk phone in Canada or Mexico? No, just barely over the border you might still be able to get service from the Verizon Towers near the border but further into Canada or Mexico you won't be able to use your phone. Can I get custom Ringtones for my Straight Talk Phone? Yes, you can download them from the web. These phones are not tied to the very limited Tracfone web service like Net10 and Tracfone phones are. You have free range to move around the web. Some websites will not load onto your browser but that is common with cell phone web access. How much data can I use with my Straight Talk phone? With the "All You Need" $30 monthly plan you should be able to stay under your 30 meg of data limit if you are checking your email and doing a bit of web searching. With the $45 "Unlimited" plan you can download anything and use as much data as you have time to use. Straight Talk Wireless sells the Samsung R451c. Can I check my email with a Straight Talk phone? You will have to have one of the phones that has web access and if you do you should be able to access most email programs. I know you will be able to access both Yahoo Mail and Gmail. Can I get a contract for my Straight Talk phone? No you can not get a contract you can only add phone cards monthly. You can have your monthly plan automatically charged to your debit or credit card. As long as your card is active your phone will work. 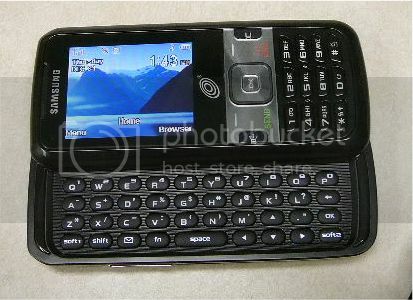 Straight Talk LG R451c Qwerty Slider phone. What is the warranty on my Straight Talk phone? There is a one year warranty on ST phones. They will not cover you dropping your phone into water, running over it with your car, dropping it out the window. "STRAIGHT TALK will repair or replace your phone and/or accessory that contains a manufacturer's defect that hinders or prevents its proper operation for up to one year (90 days on all accessories) from date of purchase (proof of purchase required)." This quote is from the Straight Talk website. Can I transfer my number to a Straight Talk phone? Yes, as long as your number is active you can transfer it to a Straight Talk phone. If your number has been inactive for a while and has been reassigned by your previous vendor you will not be able to transfer your number. 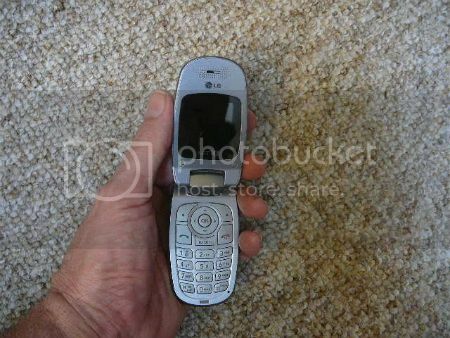 What does it cost to transfer pictures with my Straight Talk phone? If you are on the $30 plan you can send or receive up to 1000 picture texts per month. If you are on the unlimited plan you can send as many as you want. Can I tether my computer to my Straight Talk Phone? The software in the Straight Talk phones has been modified so you are not able to tether you computer to your phone. The terms of the agreement specifically state you cannot use your phone for your computer. Straight Talk Frequently Asked Questions or FAQs. Straight Talk Prepaid Wireless from the Tracfone-Verizon-Walmart Partnership Unlimited Plan for $45 per Month is the best deal in Nationwide Unlimited Cell Phone Service. The $30 "All You Need" plan with One Thousand Minutes, One Thousand Texts and Thirty Meg of Data is the best value in Nationwide prepaid minutes.